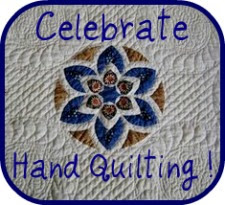 I bet you thought that today I’d write about quilts. Or about the rock group Queen. Or maybe about how much I loved that movie about drag queens, Priscilla, Queen of the Desert. How about a few quizzical things I believed when I was a kid, instead? I believed that if I forgot to include someone in the “God bless so-&-so part of my bedtime prayer, something terrible would happen to them. Which made for a bit of stress, as you can imagine! I believed that if I said my bedtime prayer as fast as I could, I wouldn’t die in my sleep. “nowilaymedowntosleepipraythelordmysoultokeepifishoulddiebeforeiwakeipraytheLordmysoultotake.” Maybe I thought that if I said it fast enough, I could fly under God’s radar. I believed that if I ate a handful of dirt and then an apple seed, a tree would grow in my stomach. I was very careful never to eat dirt. I believed that if you swallowed your gum, it would stay in your stomach for seven years before being digested. When I was in elementary school, my friend Diane’s grandmother said to me, “you’re really quite the chubby little girl, aren’t you?” I believed her for the rest of my life. What a wicked old woman! …and yes, Queen is my favourite rock group. What quirky things did you believe when you were a kid? The letter T is brought to you by Winnie the Pooh, because Today is Thursday, and isn’t it amazing that the letter T should fall on a Thursday? This entry was posted in A-Z Blog Challenge 2015, Blog Categories and tagged a-z blog challenge, the letter Q. Bookmark the permalink. I love that quilt design. One of these days I will get started on a quilt like that. Too many other projects in the works right now. I believed that someday I would fly. And that I would talk to animals like Snow White.